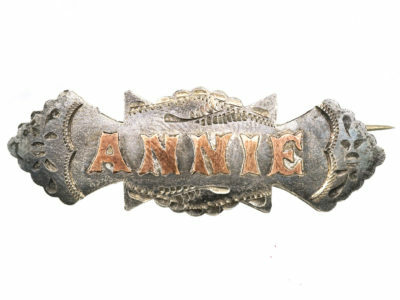 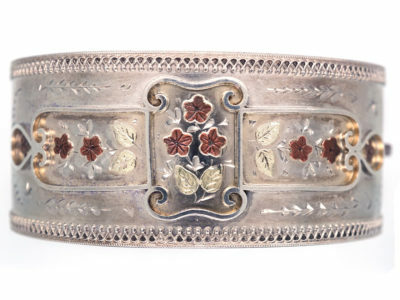 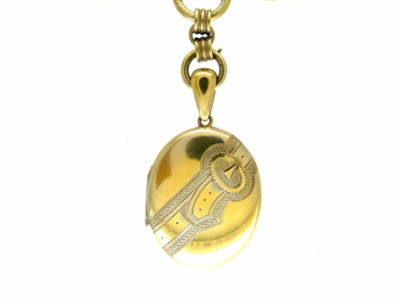 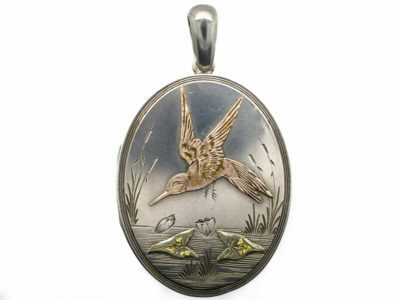 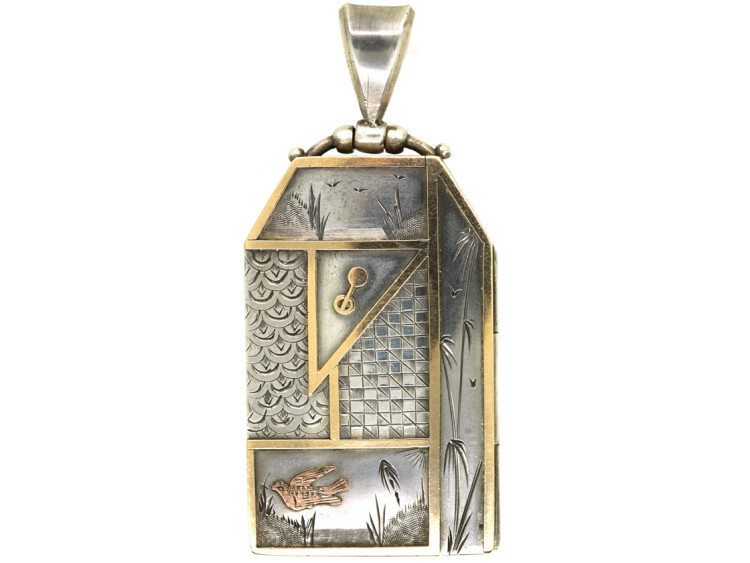 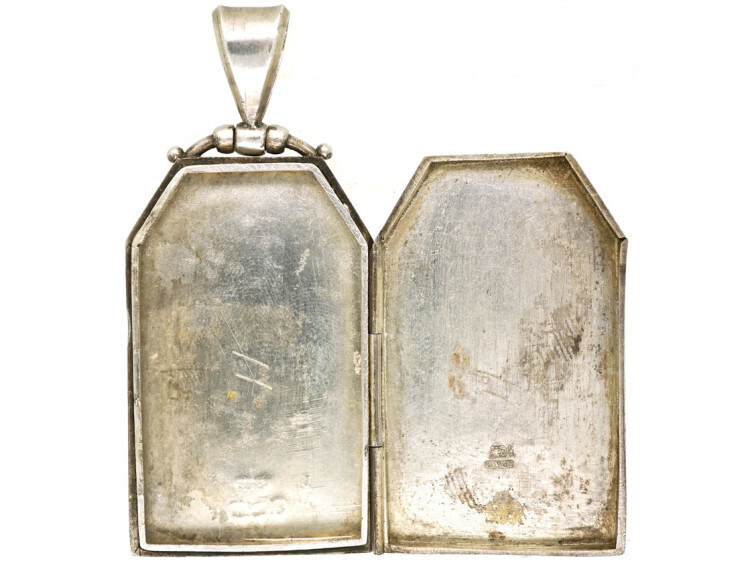 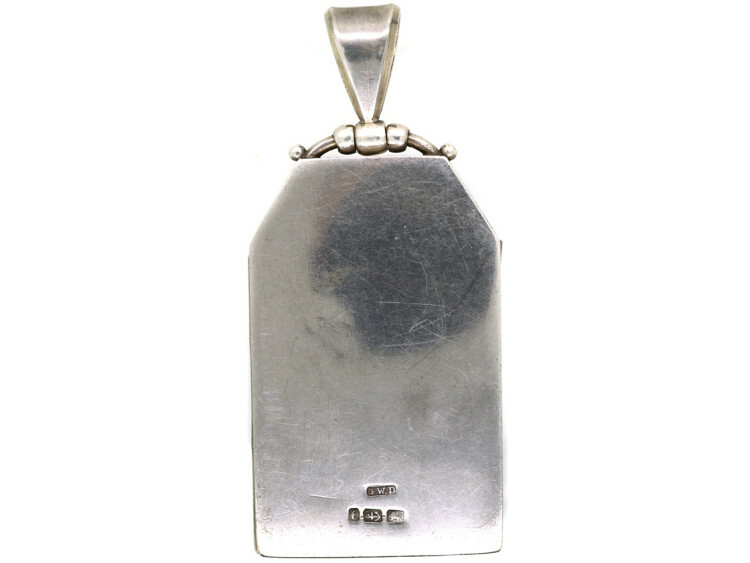 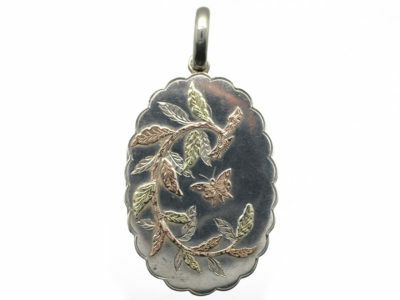 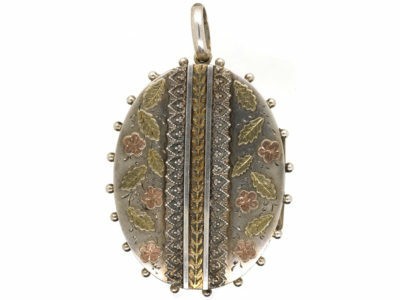 A most unusual shaped silver locket. 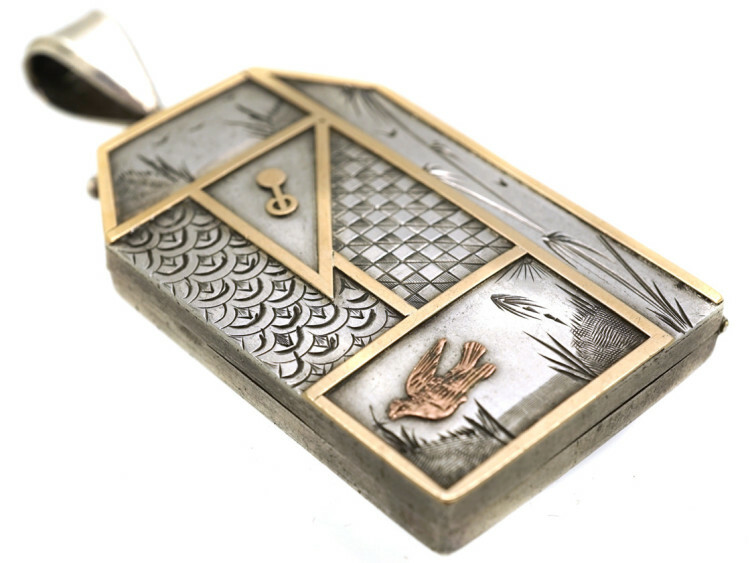 It has two colour gold overlay. 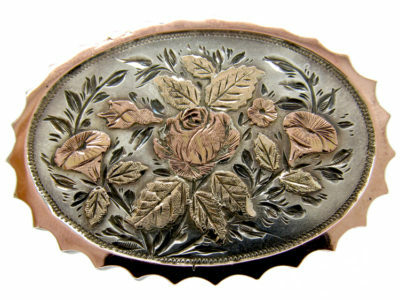 The style was the “Aesthetic” or “Japonesqe” style which was prevalent in the 1880s. 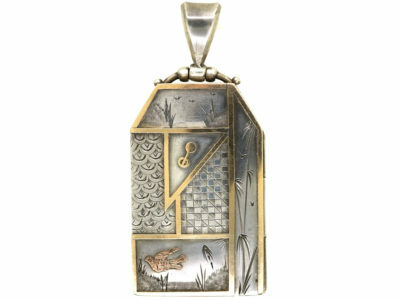 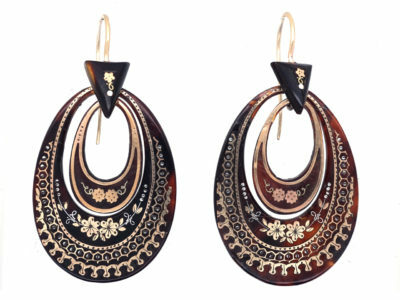 This period was inspired by simple naturalistic asymmetrical themes like birds, leaves and sometimes Japanese-style elements like bamboo. 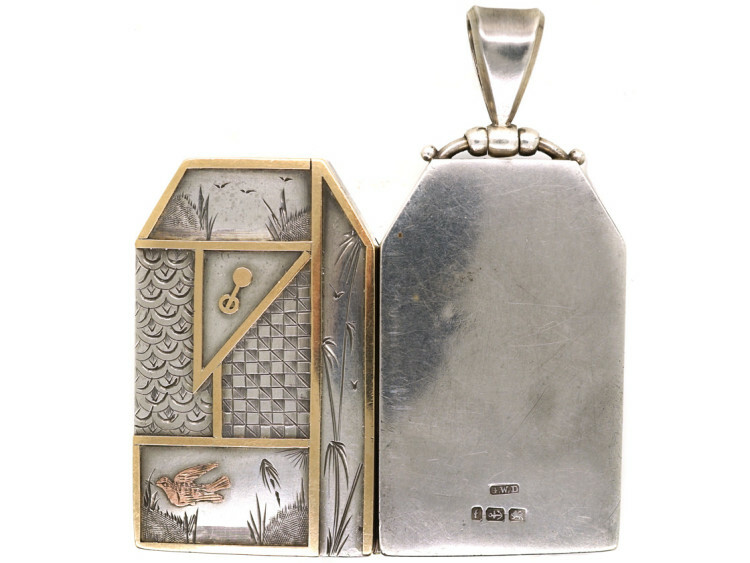 It was a result of both the Japanese trade relations that had opened during the Victorian mid-century period and a corresponding trend toward a simpler more refined sense of design. 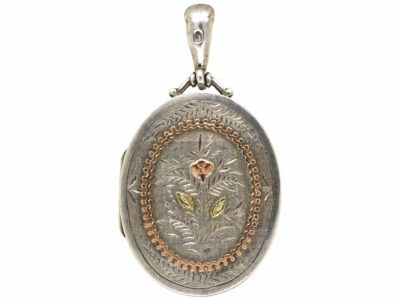 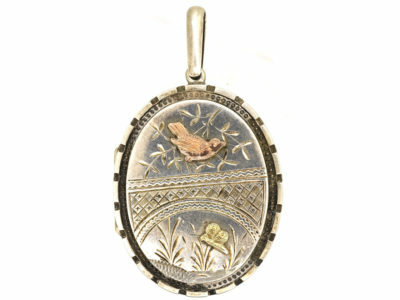 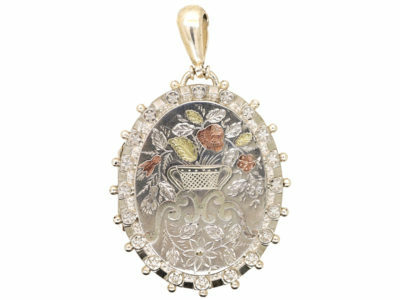 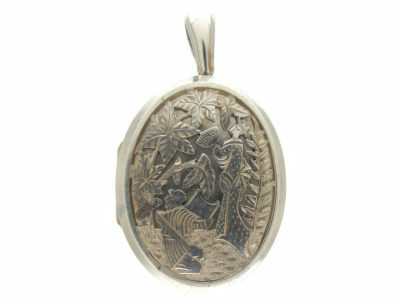 This locket is a good example.